Can wine really make you live forever? Yes, if the grapes are an ancient varietal—or so the members of the Vintage Club believe. Made up of some of the world’s wealthiest industrial magnates, the club conducts secret scientific research to discover what has eluded humans throughout history: the elixir of life. After being chased by mysterious assailants, beaten unconscious, and planted with a bug, Reggie must come to grips with his own private demons while figuring out how to save his family. 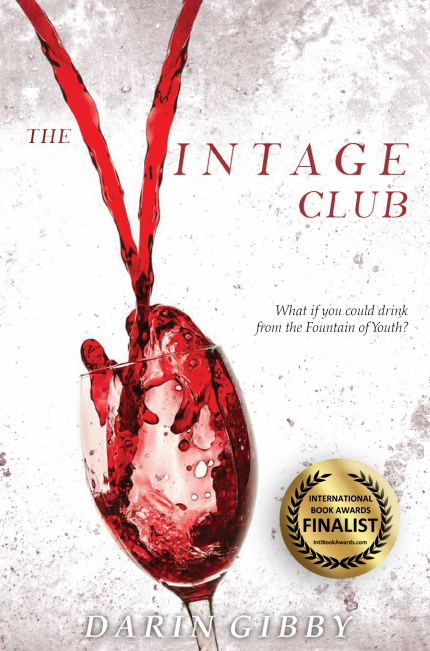 The Vintage Club is a thriller that both explores the ancient Christian symbolism of wine and imagines ways that modern nanotechnology could be used to discover the fountain of youth.